Prezentare Long ago unicorns lived in a haven of sun-dappled glades and flower-filled dells. But as civilization spread over the ages -- with its fierce knights, its chugging trains, its thick smogs -- unicorns had to find a new sanctuary. But where? 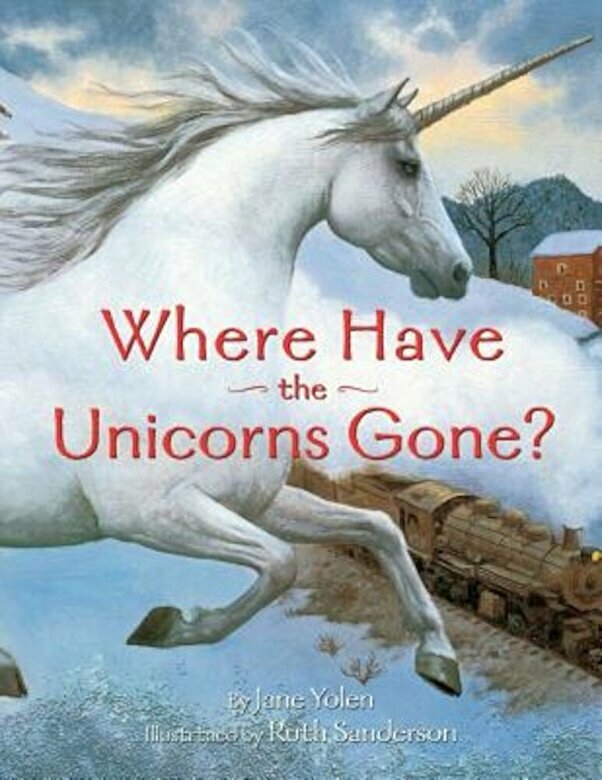 Jane Yolen finds a magical answer in the traditional unicorn myth. Her rhythmic, rhymed text is irresistible to read aloud. And Ruth Sanderson's brilliant artwork gives unicorns a bold reality in everything from ancient cave paintings to their secret, present-day home. After reading this tribute to the mystical, mysterious unicorn, children will enjoy looking for these elusive creatures in the world around them.